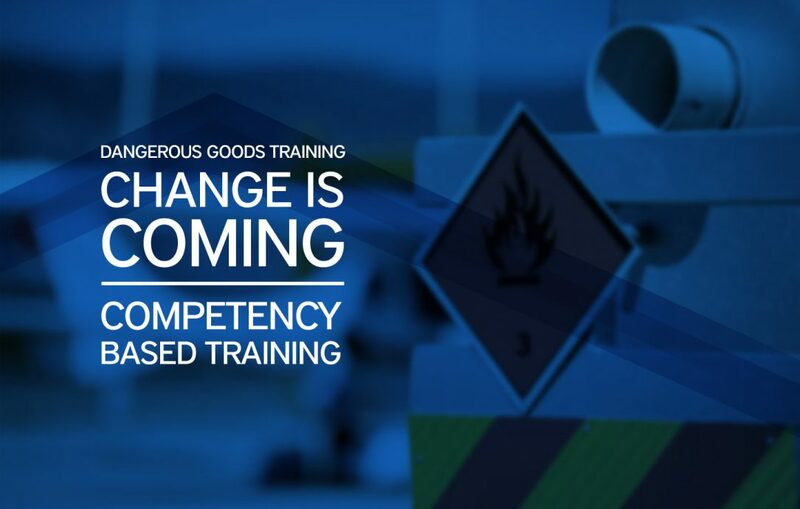 With the recently mandated changes from ICAO that all aviation training takes place with a competency-based approach (CBTA) focusing on specific job functions, Pelesys is in the process of updating all of our courses including our industry-leading dangerous goods training courseware to meet these requirements. Our dangerous goods courses are being updated to support the individual needs of airlines and specific job functions. Whether the training is required for small or large airlines Pelesys will be able to provide a dangerous goods CBTA framework to train all employees involved in the handling or transporting of dangerous goods by air. We anticipate our updated training courses will be available in 2020. In this article, we highlight key regulations for the transportation of dangerous goods by air as outlined by the ICAO and IATA and how the current training from Pelesys will be evolving over the next year to a CBTA framework adaptable for the individual needs of airlines. Every day thousands of aircraft transport cargo to destinations around the world. These air shipments often include dangerous goods, articles that are considered hazardous, including explosives, chemicals, compressed liquids and gases, radioactive material, batteries, genetically modified materials, flammable liquids and solids, corrosives, toxic and infectious substances, and articles containing material such as asbestos. In order to mitigate the hazards associated with transporting dangerous goods, the International Civil Aviation Organization (ICAO), on behalf of the United Nations, publishes Technical Instructions for the Safe Transport of Dangerous Goods by Air. This document provides the Standards and Recommended Practices (SARPS) for the transport of goods with the goal of standardizing the rules surrounding carriage of dangerous goods around the world. The International Air Transport Association (IATA), on behalf of the industry and its members, uses these instructions to create their annual Dangerous Goods Regulations, which provide detailed information on the classes of dangerous goods, as well as packaging, acceptance, storage and handling, and loading of dangerous goods onto an aircraft. ICAO also publishes the Emergency Response Guidance for Aircraft Incidents Involving Dangerous Goods. This document provides instructions for dealing with on-ground and inflight incidents, including emergency response drill codes, and checklists to assist flight crew and ground personnel who are faced with an incident involving dangerous goods. For the last 20 years, Pelesys has been a leader in providing airlines with courseware to aid in the training of personnel handling and transporting dangerous goods through 3 courses – Dangerous Goods for flight crew, cabin crew, and no-carry operators. The Pelesys dangerous goods courses are updated annually according to the IATA dangerous goods regulations. The target audiences for this training include flight crew, cabin crew, dispatchers, load planners, and handlers. ICAO mandates competency-based training & assessment, CBTA, for aviation courses. Recently, ICAO has mandated a change to the way aviation courses are delivered, moving away from a purely technical and regulatory training framework to a competency-based approach focusing on job function. IATA requires this training to include an initial course, as well as recurrent training to be undertaken on a 24-month interval and must include testing. Currently, IATA uses tables outlining 17 categories of training to be given according to the various job functions. The job functions are grouped within each applicable category. For example, Category 10 training applies to the flight crew, loadmasters, load planners and dispatchers. For Pelesys to provide training for this category, a lot of information contained in our course may be unrelated to the day-to-day job requirements of the individual job functions contained within the category. Our solution is to focus on training that identifies the key competencies of each job function to be assessed and achieved and then develop effective means to achieve these competencies by the establishment of reliable assessment tools that can evaluate competency in the day-to-day job tasks. Commencing in 2020 the training tables and their attendant categories will be phased out and a new program of competency-based training and assessment (CBTA) described in detail in the IATA DGR Appendix H, will be phased in to assist the industry in adopting CBTA. The challenge for course providers like Pelesys will be to provide a CBTA framework that can be adapted to the individual needs of companies. The training requirements of a small-package operator flying a few light aircraft will differ from a large airline operating on a worldwide basis where several separate departments handle dangerous goods, from the acceptance of shipments, through storage, loading and operating aircraft. A flight crew’s responsibilities regarding dangerous goods is quite different from someone who does load planning, or who is responsible for dispatch planning. In order to ensure we are ready for this change, Pelesys will commence by breaking up the Category 10 course for flight crew, load planners, loadmasters and dispatchers into separate smaller courses focusing on individual job functions and eliminating material that is not applicable. Starting in 2020 these courses will be available and will be highly focused on the objective of providing job-specific information for air operators to use to build their CBTA programs. Since every air operator will need to have training that is unique to them, the focus for Pelesys will change from providing a complete ‘end-to-end” training package to providing the framework around which the whole training package can be developed at the air operator level. If you have questions about our dangerous goods aviation training courses or any of our special operations courseware please get in touch with us by emailing sales@pelesys.com or by calling us directly at 604-233-6268.